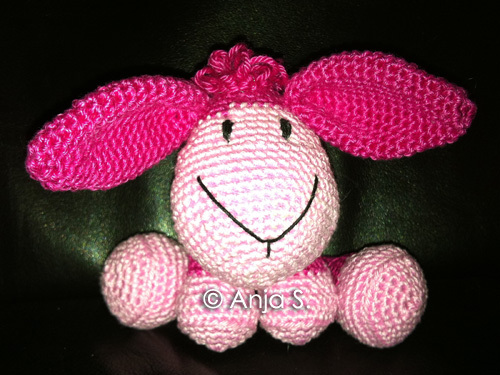 Thank you so much for sharing these pics of your supercute works! All the waiting finally has an end! 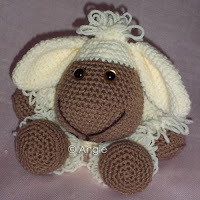 - The pattern for Wooly, the Sheep has been put to the acid test. It has been crocheted, tested, revised, retested, and... Now the little critter is allowed to conquer the world accompanied by his little "cousin"! 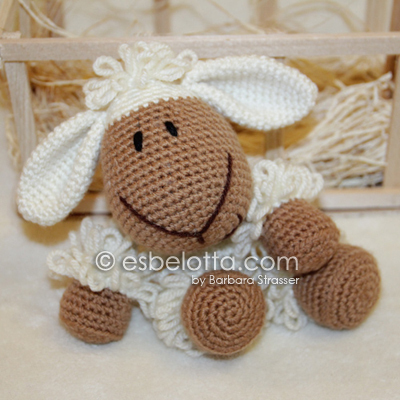 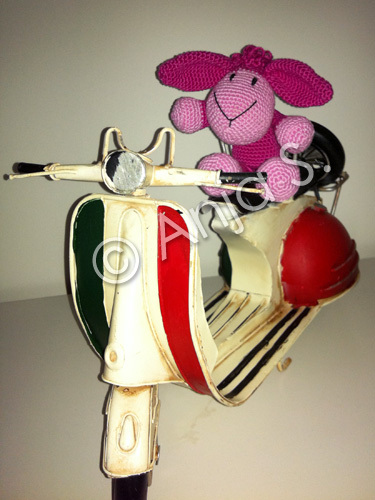 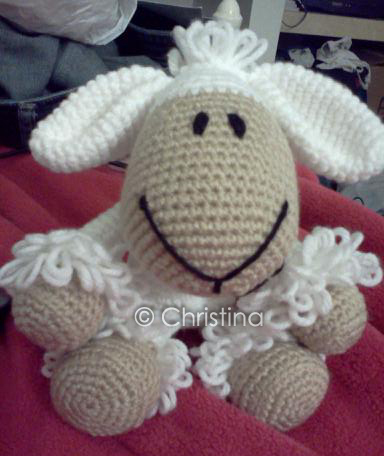 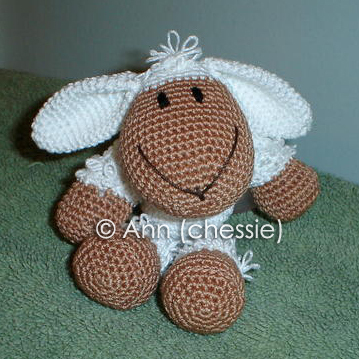 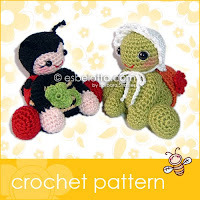 See more pics of Wooly in an ealier post: New cuddly critter! I finally made a PDF for my Easy Flower pattern. 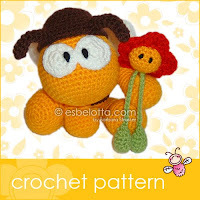 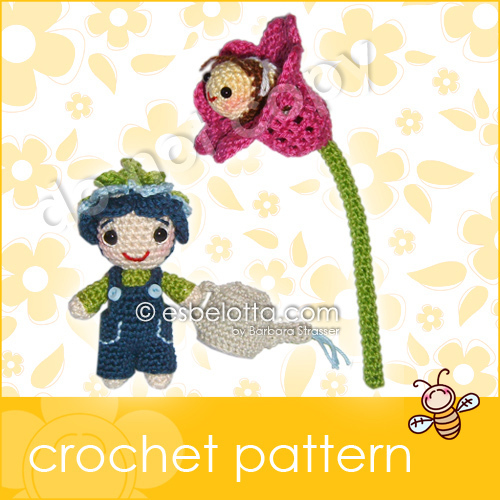 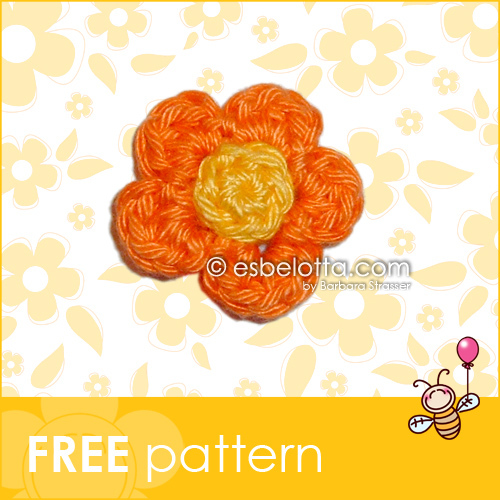 A very versatile, easy-to-make 5-petal crochet flower. Welcome to my new blog, dear friends! 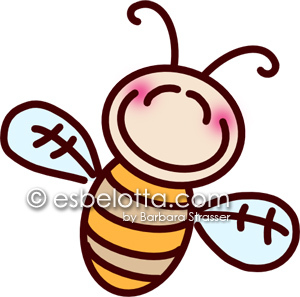 As announced, there have been several changes in my life - and on my websites. Well... I didn't just revise my blogs - no, because of big changes in my personal and professional life, I decided to make a complete new start! 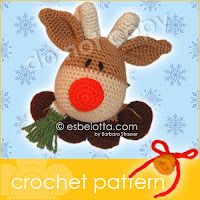 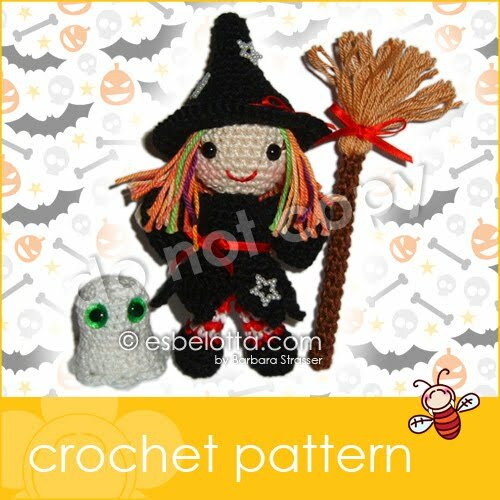 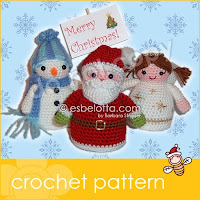 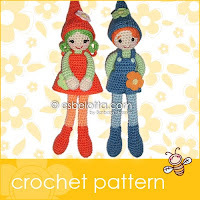 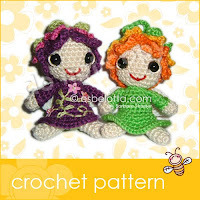 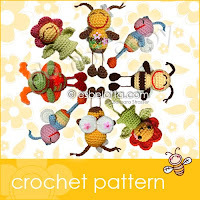 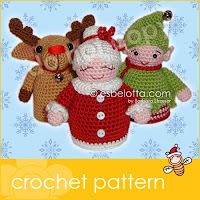 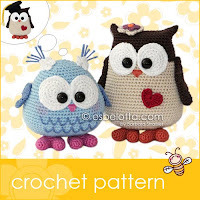 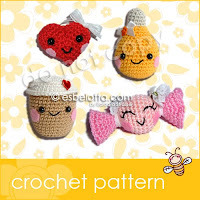 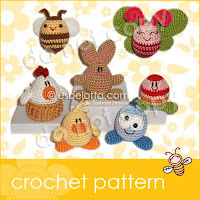 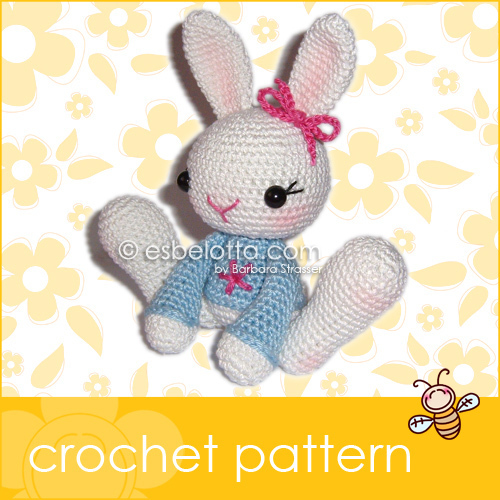 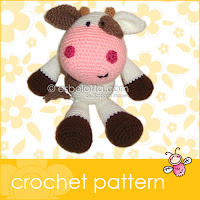 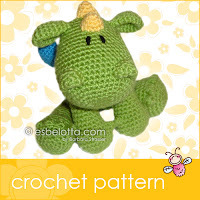 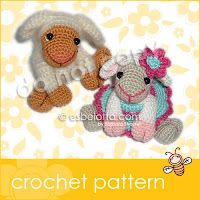 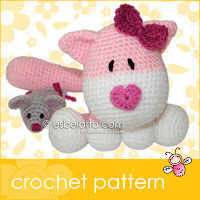 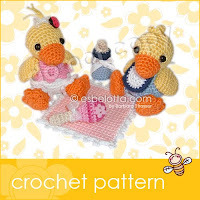 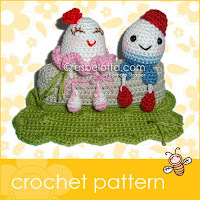 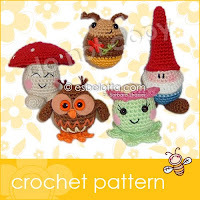 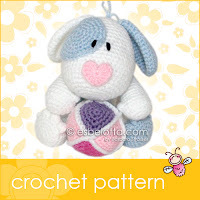 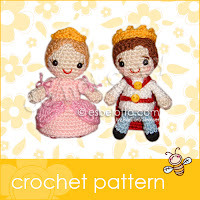 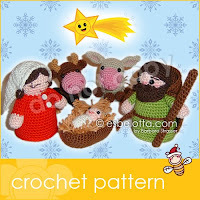 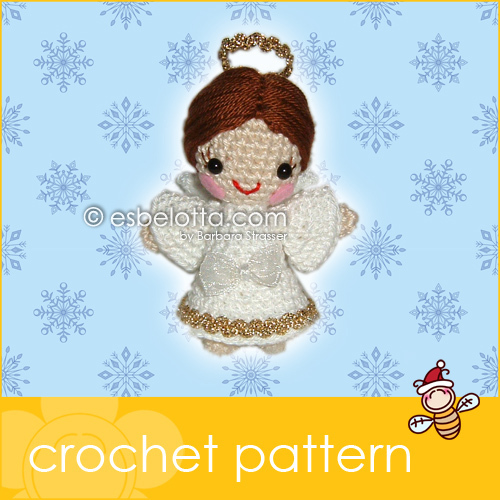 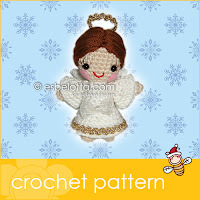 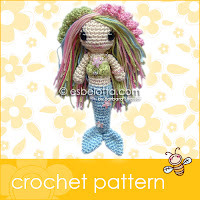 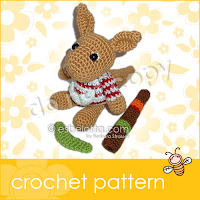 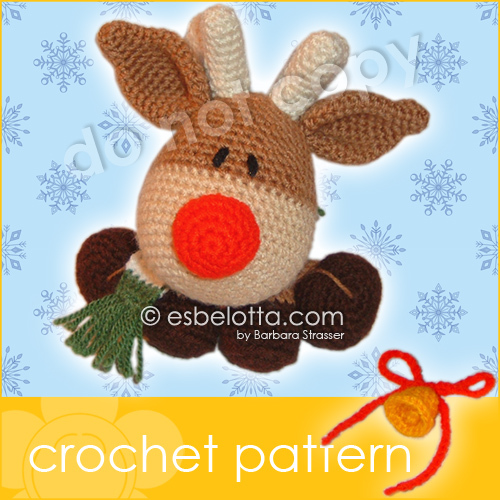 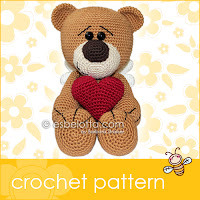 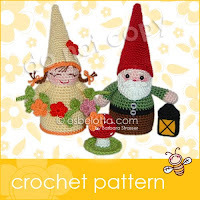 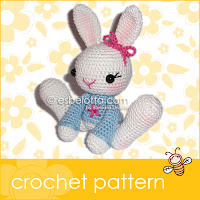 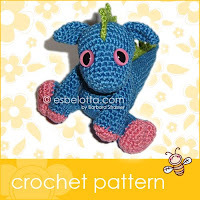 Descriptions of all my patterns will be added soon. 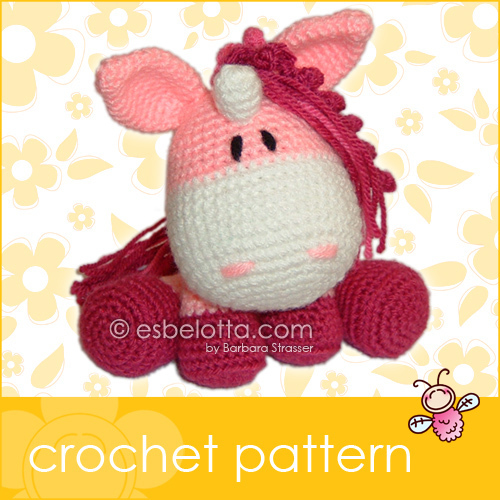 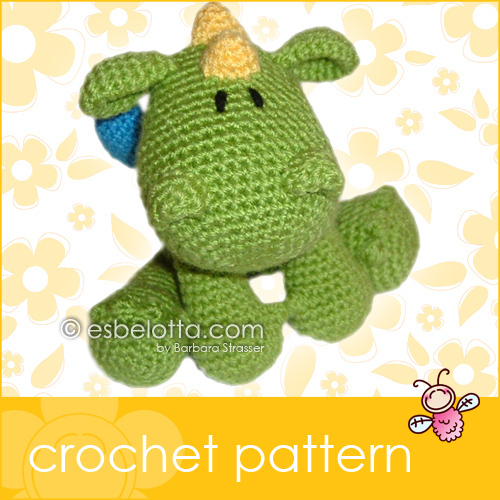 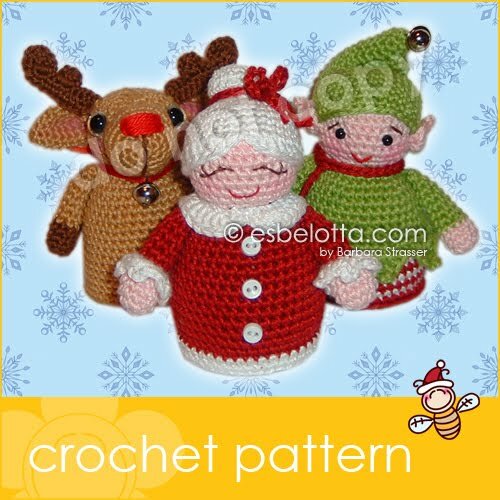 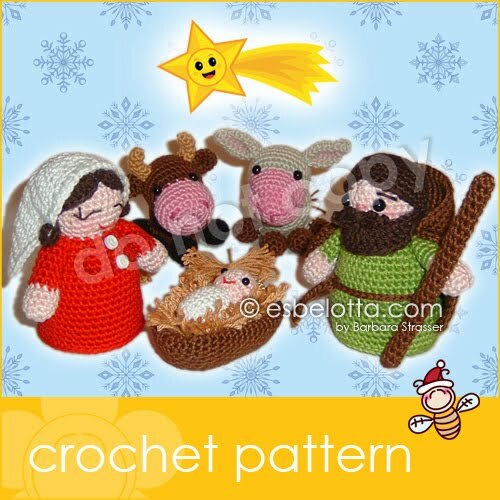 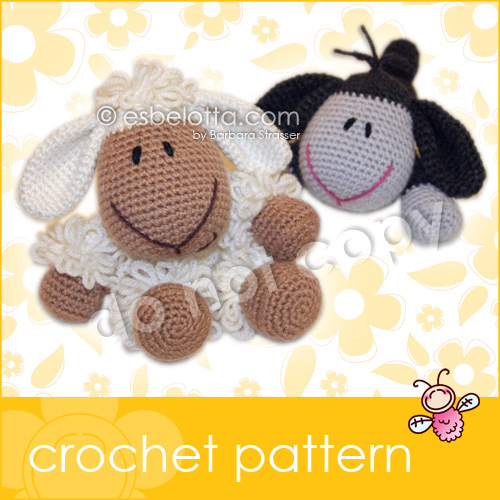 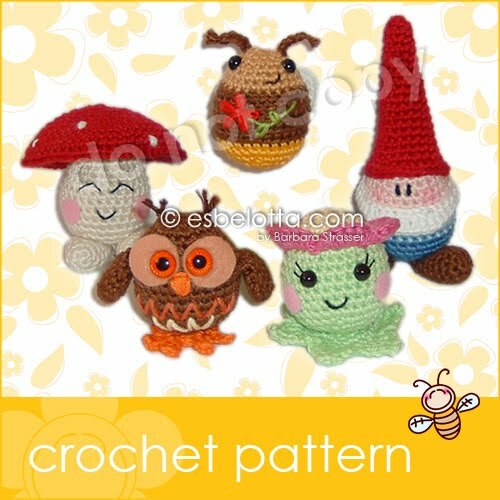 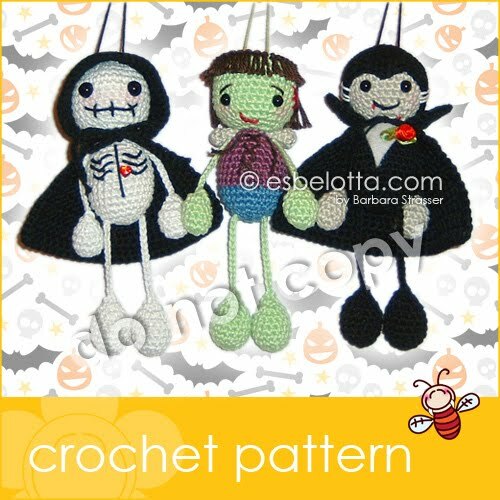 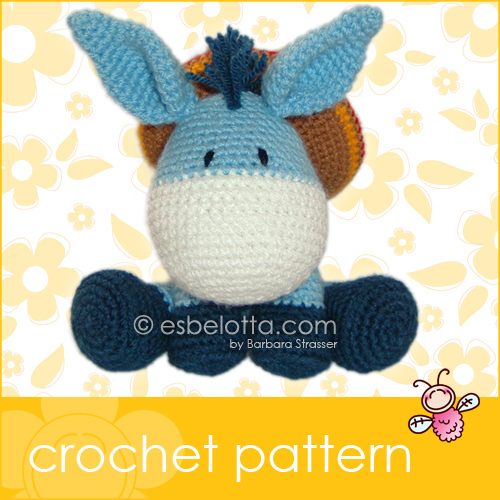 You can now find my patterns in my new esbelotta-Shops at Etsy (mainly for the English versions) and DaWanda (only German versions)! 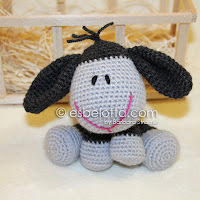 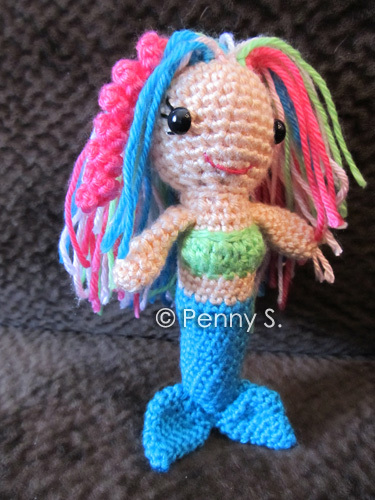 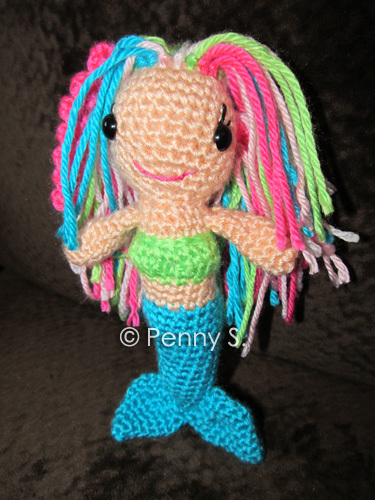 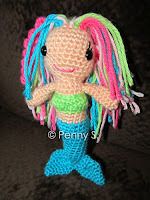 I hope you'll like the new life of AmigurumiParadise and that you will keep on following me! I designed a little eggy frog - and gave him a crown. 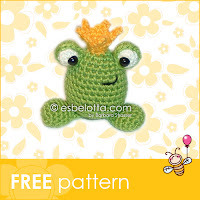 Now he is a Frog King. 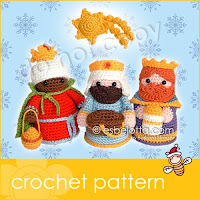 Once upon a time... 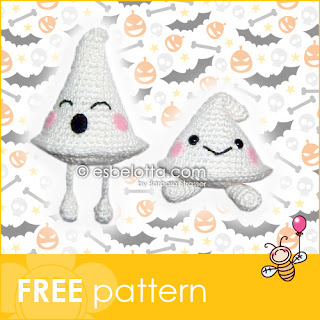 I let two tiny ghosts come out of my mind! 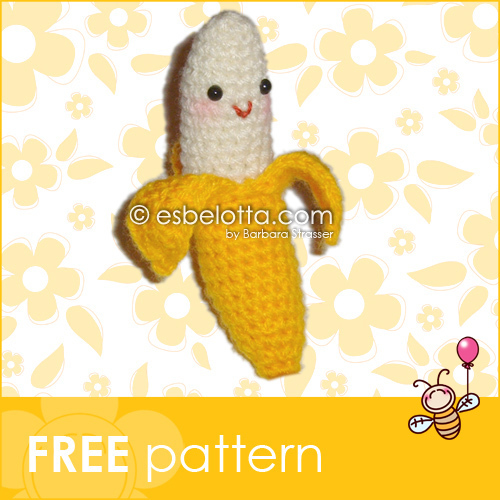 I decided to put the pattern up here for free - I hope, you'll enjoy it! 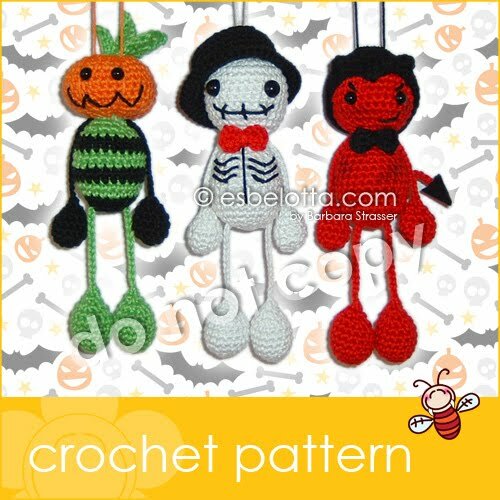 I know, I'm a bit early with halloween-like stuff, but so you'll have enough time to make a whole bunch of them! :)) - Would be happy to hear how you like them! 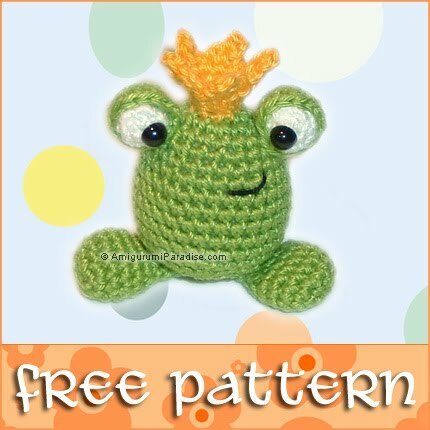 New Term Tuesday – What Does “Frogging” Mean?